Duarte leads a team of skilled journalists. Together, they produce multimedia reports and short films that have been distributed around the world through national and global media networks. He travels the country reporting at the nexus of economics, politics, immigration and culture. Duarte is also a radio host. He has guest hosted The Takeaway, a weekday radio news program featuring unique conversations about topics of the day with newsmakers and diverse voices. It reaches more than 2.7 million weekly listeners. He’s also hosted Left, Right & Center, a nationally syndicated weekly political discussion show. He is also a frequent host of WNYC’s Midday Show, a live 2-hour daily call-in radio show. Duarte is also a Special Correspondent for the PBS NewsHour. At the NewsHour, he reports and writes long-form television stories about business trends and developments in labor laws. Recent topics include the housing crisis that is gripping many American cities and legislature that some see as choking middle and low-income workers. In the same year the United Nations invited Duarte to address a special plenary session as 136 nations came together to create a coordinated effort for the safe and orderly flow of migrants and refugees around the world. 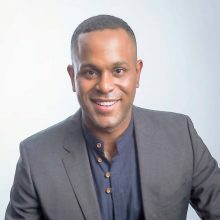 Previously, he worked as a National Correspondent for Al Jazeera America, CBS Newspath and as a local news reporter in New York, Ohio, Texas and Maryland.